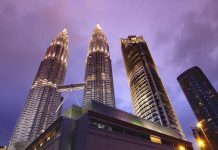 Malaysia’s interest rates are a double-edged sword. While low interest rates have benefitted domestic consumption, they have also led to a rise in domestic debt. This can put downward pressure on domestic consumption in 2017. Even though a rise in employment and wage growth will keep domestic demand strong, a further rise may be difficult to come by. 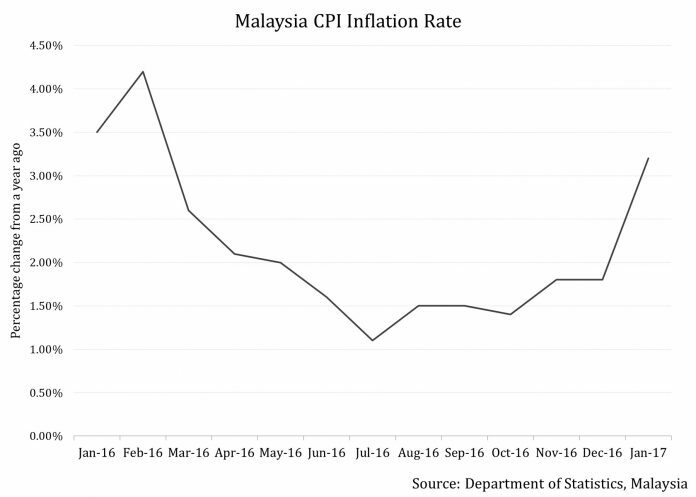 This is even more prominent in light of the fact that Bank Negara Malaysia may not have more room to ease monetary policy due to higher expected inflation. Price rise in Malaysia (EWM) in January stood at 3.2% – the highest since February 2016. Food, non-alcoholic beverages and the cost of transportation were major contributors to the rise. With stated inflation expectations of 2%-3% in 2017, this sharp uptick in January gives no room for the country’s central bank to cut rates for now. Another reason why the central bank would find it difficult to ease policy is the Malaysian ringgit. The currency has taken the brunt of low oil prices and their impact on government revenue. A rate cut does act as a stimulant to economic activity, especially when inflation is benign, but it also puts downward pressure on the domestic currency – something that the central bank does not want. 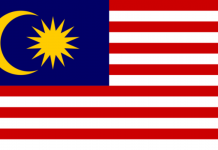 In December 2016, the central bank had taken action on a financial institution for misconduct regarding fixing the dollar-ringgit exchange rate. At this juncture, saving further devaluation in the ringgit assumes critical importance for the central bank. Meanwhile, though higher oil prices are expected to ease global trade this year, these have to be seen in light of increased calls for trade protectionism around the world, especially the from US. While some benefit from oil prices cannot be ruled out, policy level changes pose a bigger threat to trade for now. Speaking of trade, let’s take a closer look at it in the next article.